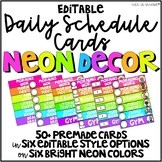 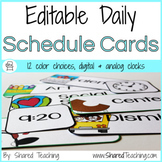 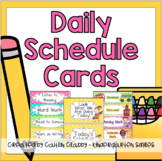 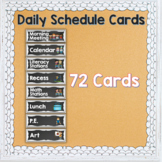 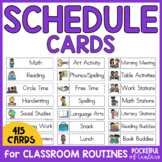 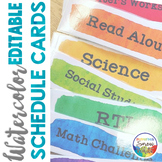 Are you looking for some beautiful and bright Daily Schedule Cards for your classroom? 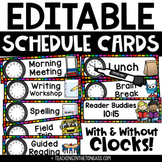 I've got you covered. 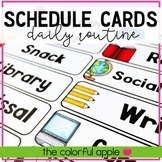 These watercolor themed schedule cards will brighten up your classroom. 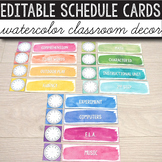 With 120 already filled options and an easy to customize editable version, these labels are perfect for your classroom. 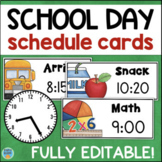 Save on color ink by printing these bold, black and white Daily Schedule Cards on colored paper! 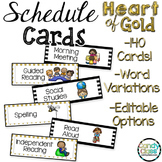 This zip file includes the editable PowerPoint version of my free set of cards that can be found here! 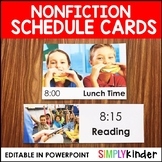 The free set is also included in this download.